Our heartfelt thanks to the hundreds of wonderful people who have donated and continue to support us whether it's been sending us checks, making online donations or dropping cash into our jars at various businesses or at our adoption events. It all adds up and goes to help the animals. We have great merchandise coming your way! Right now we have our colorful T-shirts for sale. You can purchase one for your very own: Adult sizes are $20 and youth sizes are $10. Please complete our Contact form and let us know what size, how many, where to send. We also have car decals for $5.00. Payment can be submitted via the "donate" button above. A very special THANK YOU to all these entities for supporting DAWG. Denison Animal Welfare Group is proud to be a Partner for Pets! BISSELL and LostPetUSA.net have teamed up to help organizations like ours raise money, and now you can help too! When you purchase pet products on bissell.com and enter the code ADOPT at checkout, a portion of your purchase will be donated to our organization. Need an awesome new pet door? Take a look at Flaps for Fido. A portion of your purchase will be donated to DAWG. Use Giving Assistant to save money and support Denison Animal Welfare Group Inc.
Join Giving Assistant now and support Denison Animal Welfare Group Inc. for free! Shop online at stores like Home Depot, Lowes, and Target and earn 3-30% cashback donations. So many caring individuals help us every day in so many ways that it's impossible to list them all. We would like to thank everyone who has helped out with our adoption events, fundraisers and sharing our cause to find wonderful homes for these deserving animals. The outpouring of support from our community has been both amazing and uplifting and it's what gives us strength and the drive to save and protect the animals. Our mobile adoption trailer has been in use for one year!! It is still beautiful and DAWG continues to improve the lives of so many are pets. 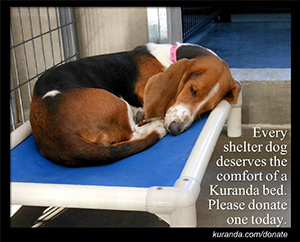 We are now working on our next goal -- a new facility that will function as a true shelter.